There are certain aspects of competition, often in the playoffs or those “big games,” that exemplify why we love the game. Anyone who has ever played a sport can relate to those involved in these consequential moments that create defining experiences for all of us. We can feel the raw emotion, living vicariously through one another’s experiences in competition; the unbelievable save that keeps a team from falling in the hole at a defining moment in the game, or a crucial goal that ends up being the difference maker. Who will seize the day? Finding out the answer to that simple question is a big reason why we watch and love the sport. 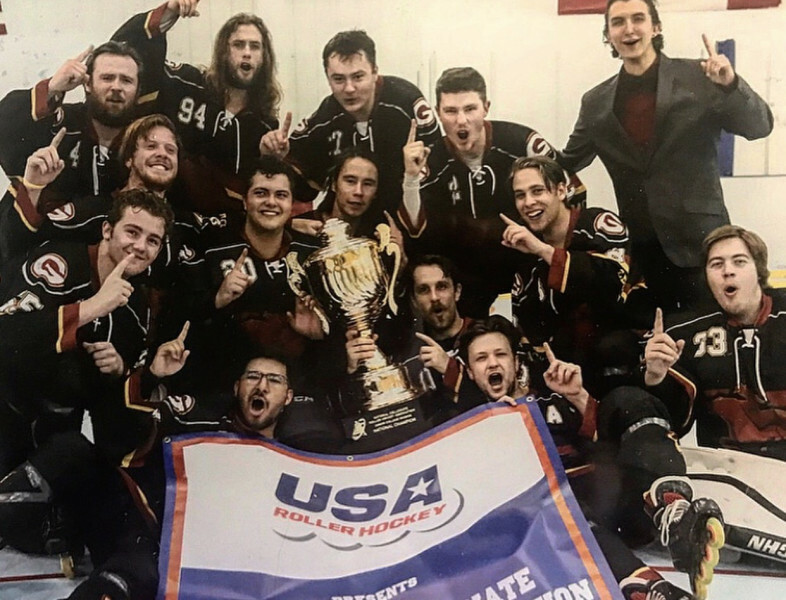 The 2018 Junior College Division National Championship Game was an instant classic. The Saddleback College Gauchos (Mission Viejo, CA) and the West Valley College Vikings (Saratoga, CA) were arguably the top two teams to watch going into the tournament. This Southern California vs. Northern California matchup saw back and forth action in one of the best games played all week in Fargo. For those unfamiliar with the context, the hype leading into this game was certainly justified. The Gauchos had won both regular season contests against their Northern California rivals - beating the Vikings 5-4 in OT last October and 5-3 in January - and arguably had the upper hand going into Fargo. However, it seemed as if West Valley had the momentum going into their final matchup of the season on Sunday, after the Vikings had defeated Saddleback 3-2 in overtime in pool play. That result set up the Semi-Final matchups and a potential rematch in the National Championship Game that ultimately came to fruition. 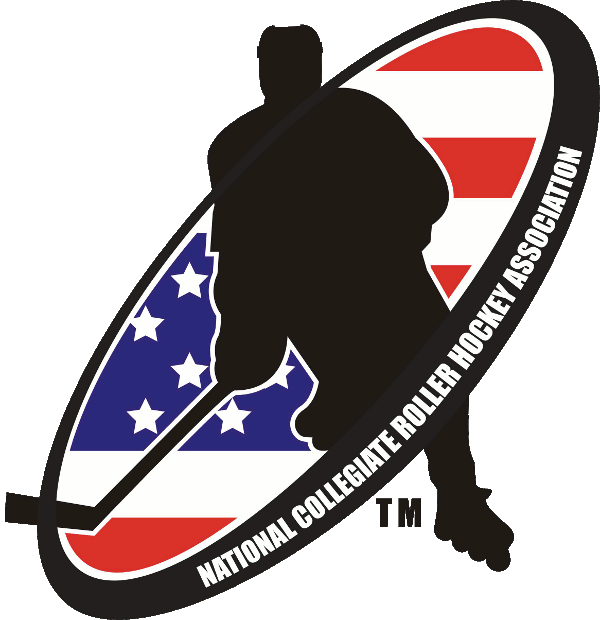 Here’s what happened in what ended up being one of the best games to take place at the 2018 National Collegiate Roller Hockey Championships in Fargo. From the drop of the puck, both teams looked poised to compete with each other, playing smart and waiting out their chances. After a back and forth start with no goals on the board, things finally started to heat up. With 2:33 left in the first period, West Valley went on the power play. A few good passes led to Matt Swanson ripping a wrist shot from the top of the right faceoff circle, beating Leks Zendejas low short side for the first goal of the game. The first period would end with West Valley leading, 1-0. Early in the second, both teams had good chances, but neither team was able to find the net. Christian Acosta saw a wide open Joe Kubani with nobody between him and the net, and fired a pass down the floor that Kubani couldn’t corral, bouncing over his stick just a few feet from the net. West Valley’s offensive attack led to them drawing another penalty, and as Saddleback’s Scott Hummitsch went to the box, West Valley went back on the power play. A good penalty kill from Saddleback, including a few blocked shots, somehow led to frustration as Ruslan Patterson took a holding penalty, giving West Valley an abbreviated 2-man advantage. After a West Valley shot on net, the puck went straight up in the air - West Valley’s James McGaughy, was there to catch the puck, quickly set it down and passed it to Matt Swanson in the slot right as Hummitsch raced out of the box. Swanson quickly converted for his second goal of the game, and although West Valley scored on the 4-on-3 power play, Saddleback ironically caught a break, as the Gauchos went back to even strength. The minutes that followed contained a few plays that completely changed the game. West Valley had two chances late in the second period that almost led to goals, but instead played a role in shifting momentum towards the Gauchos. With 5:20 left in the period, Saddleback goaltender Leks Zendejas came out of his net to play the puck, but his pass was picked off by Joe Kubani. As Kubani put the puck on net, Zendejas raced back to the net, kicked his left leg out, and somehow was able to keep the puck from going in. Seconds later, Christian Acosta found himself all alone coming down on Zendejas. Acosta was able to beat the Saddleback goalie up top but unable to beat the crossbar, which kept the puck out of the net. Less than a minute later, with Saddleback on the offensive, Ruslan Patterson found George Godinez open in front of the net and Godinez was able to stuff the puck past West Valley’s goaltender Jose Vincent Sy. With the goal, Saddleback now trailed 2-1 with 4:08 remaining in the second period. The real difference maker came in the final minutes of the second, with a James McGaughy tripping penalty giving Saddleback a power play with 1:57 left in the period. 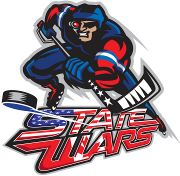 With 10 seconds left in the period, Ruslan Patterson fired a shot on Sy, which popped out, bounced off the stick of Jared Smer and right in front to George Godinez, who tapped in the loose puck with 5 seconds left in the period to tie the game. The second period ended with Saddleback and West Valley knotted up, 2-2. Heading into the third period, West Valley looked to regain composure and was able to maintain possession for nearly the entire first half of the period. A big save on a Matt Swanson tip kept the score tied at 2, but West Valley continued to press, waiting for their chances and using their speed when the chances arose. Saddleback finally got their first shot of the period with 6 minutes remaining in the third, but was unable to score; luckily for them, the same fate held true for the Vikings on the other end. With under 5 minutes on the clock, West Valley controlled the puck behind their own net, waiting for the right moment to attack. Vikings standout Matt Swanson, who had already scored twice in the game, wheeled around the net, picked up the puck, and drove down the boards towards the Gauchos net. Gauchos defenseman Jared Smer was able to swat the puck away from Swanson, who after turning the puck over, put Smer into the boards - and Saddleback went on the power play with 4:21 remaining in the game. Yet again, the power play proved to be the difference maker. As Saddleback set up shop, George Godinez caught a pass down low, looked up for a teammate and instead saw an open lane to the net. He drove straight to the net on his backhand and fired a low shot beating Sy to the far side, recording his third goal for a natural hat trick and putting the Gauchos not only on his back, but in the lead, 3-2, with 3:55 remaining in the third period. Just moments later, Saddleback’s Jared Smer tripped Matt Swanson behind the Saddleback net. In a matter of seconds, West Valley found themselves with another chance to climb back into the game - a deadly proposition as the Vikings had already scored both of their goals on the power play. Despite good puck movement and a variety of shot attempts thrown at the net, the Vikings could not find a way to get the puck past Saddleback goaltender Leks Zendejas, a theme that stayed consistent over the final few minutes of play. Saddleback College were able to hold onto their lead until the final horn sounded… and that was it. Whether it be an NHL Stanley Cup Finals Game 7 being played on ice or the 2018 Junior College National Championship Game being played on wheels, those who may at first glance seem to be the most unlikely of heroes are often the ones who become the heroes of playoff hockey after all. They’re the leaders in the locker room, on the bench and off the rink, too. They might not score every game, but they do when it counts. They’re the guys who step up in the heat of the moment. They take advantage of the opportunity at hand. They seize the day. It’s why we love the game. It’s safe to say Saddleback College Captain George Godinez seized the day. The leader on and off the floor for the Gauchos is not exactly known as a goal scorer. Godinez will be the first person to tell you that. 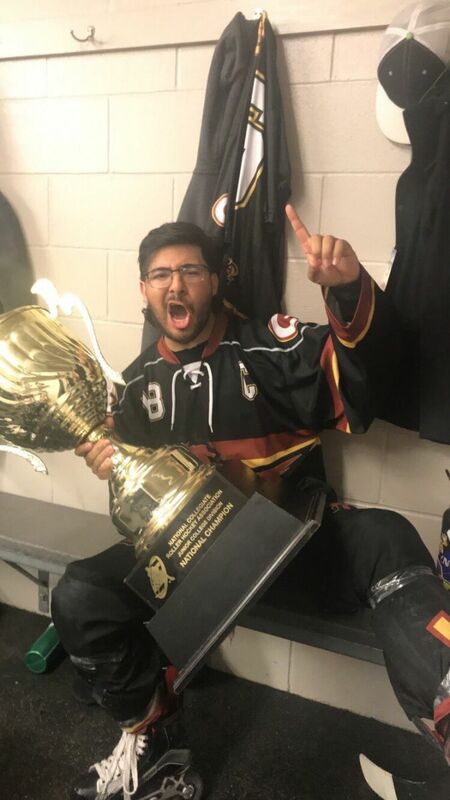 He laughed off the fact, pointed out by his teammates, that he scored more goals in the National Championship game than he had scored all season. Call him a good sport, or maybe it’s just because he gets it. Who cares about the regular season? He scored when it mattered. Three times. When it was all said and done, the San Diego native, who moved to Orange County to continue coaching and playing hockey while getting an education at Saddleback, made the difference, alongside a spectacular Saddleback team with talent up and down the roster. Congratulations to Saddleback College - 2018 Junior College Division National Champions!